If this is the first time using the RadioPRO PC Application, download “radiopro_setup.zip”. Extract the Radio PRO PC Application file, then run the installer. This will install the PC Application onto the computer. Open the RadioPRO PC Application using the new shortcut created on your desktop. Connect the GM1A interface to the computer using a standard to micro USB cable. Click “Select File” and browse to the new firmware file. The new firmware can be found where you saved it before beginning. Once the file is chosen the update will begin. When successful it will show the text "Update Completed". 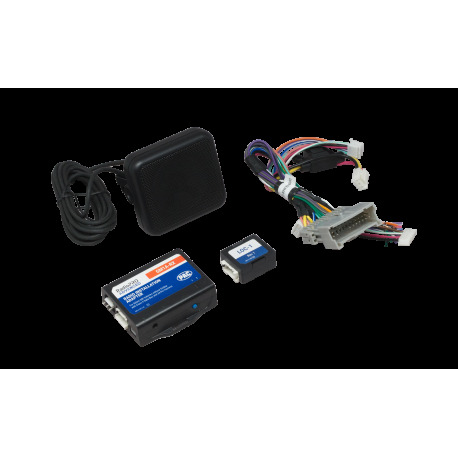 RadioPRO Advanced has been engineered to save you time and seamlessly integrate into a vehicle’s databus system to retain features such as factory amplifier, audio fade, and safety notifications. RadioPRO Advanced features improved sound quality of warning chimes through a provided speaker, and direct USB connection for quick and easy product setting adjustments and firmware updates. It also saves you time on the installation with a streamlined harness design, smaller housing, and easier adjustment of chimes and factory amplifier gain.